In The Netherlands, the ERTMS Pilot Program has started on May 24th of this year in an joint effort of NS, ProRail, Freight Operators and maintenance companies to gain experience on the operation of Dual Signaling. 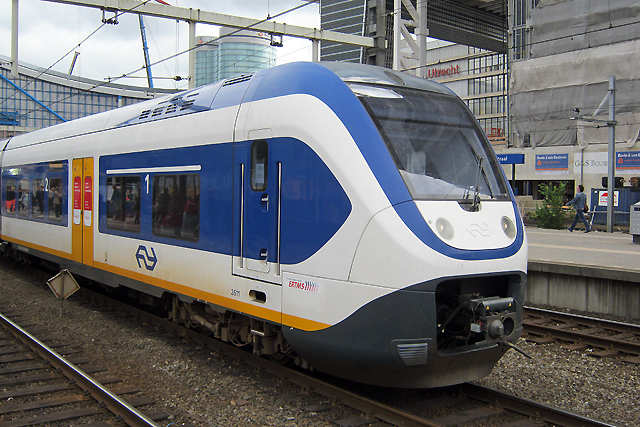 The Program, which has been initiated by the Ministry of Infrastructure in The Netherlands seeks to acquire knowledge on the advantages and disadvantages of using the national ATB signaling system and ERTMS L2 simultaneously, as a possible scenario for the national rollout of ERTMS, scheduled for 2016. The Program will focus on the section Amsterdam – Utrecht while making occasional usage of the Hanzelijn, also equipped with ATB and ETCS L2. Other sections in The Netherlands equipped with ETCS-only are the HSL-Zuid and Betuweroute, out of scope of the ERTMS Pilot. Initially for the test runs is an empty Sprinter Light Train (SLT) 2611 is used, specially equipped with ERTMS L2 for the purpose of the Pilot. Over the course of the summer, nine other SLTs will be entered in service as well as freight trains. Spanish Ad-Hoc committee to investigate signalling state in Spain forms.